The representatives emphasized the importance of transparency and innovation in strengthening hemispheric trade. 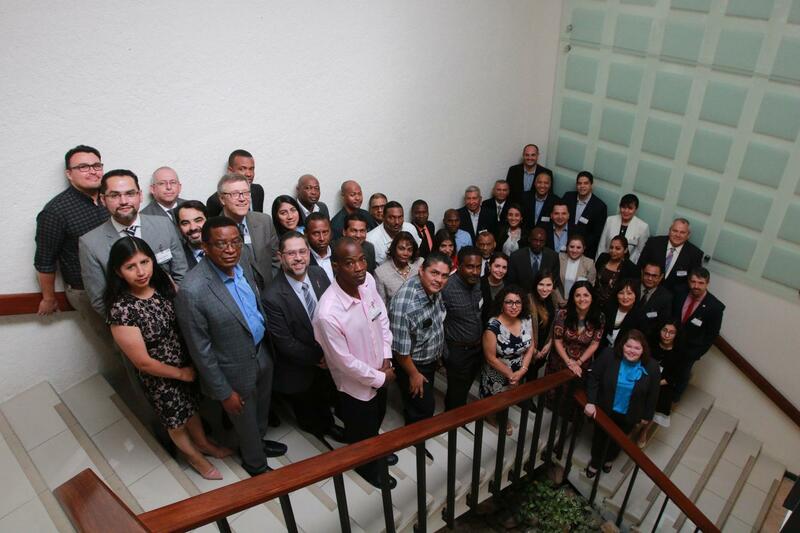 San Jose, 10 April 2019 (IICA) – In a bid to integrate initiatives, data and good information management practices, the Market Information Organization of the Americas (MIOA) will develop an online catalogue to better equip agricultural producers to set prices and assist consumers in making more effective purchasing decisions. Participants agreed that agricultural authorities in the countries would periodically update the information, with the aim of supporting and bolstering regional trade. The MIOA meeting took place on 8 to 10 April at the Headquarters of the Inter-American Institute for Cooperation on Agriculture (IICA) in San José, Costa Rica. Data collection for the platform is now underway, with the expectation that it will be launched towards the end of 2019. IICA serves as the Technical Secretariat of the MIOA. According to Ana Cristina Quirós, Costa Rica’s Deputy Minister of Agriculture and Livestock, “MIOA’s work is essential in equipping the production sector with what it needs to ensure a fair value chain, in facilitating transparent pricing, and providing accurate information in support of decision-making”. “MIOA is seeking to integrate information and communication technologies to offer solutions that will enhance the quality of products and level of returns at all stages of the value chain”, said Helena Ramírez, Market Information Specialist at IICA. Terry Long, MIOA’s President, explained that countries can access a course on pricing, which is already available in English and Spanish, and will soon be offered in Portuguese. The organization has 33 member countries. Its meeting in San José was officially closed by Manuel Otero, the Director General of IICA. The experience-sharing facilitated by MIOA enables countries to keep abreast of developments in statistical, trade, and geospatial databases, and informs them about the situation in other member countries, all of which is moving the hemisphere towards standardized and transparent management of agricultural market information systems. For example, in Costa Rica, the Government purchasing system is utilizing these instruments to supply fresh, locally produced food to community kitchens for children and penitentiaries. Helena Ramirez, MIOA Market Information Specialist.